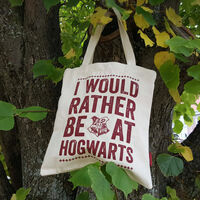 Harry Potter I Would Rather be at Hogwarts Tote | Would you rather be learning magic? 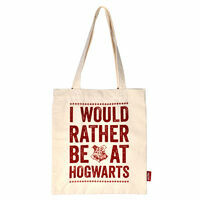 Rather go to Hogwarts than any prestigious university? 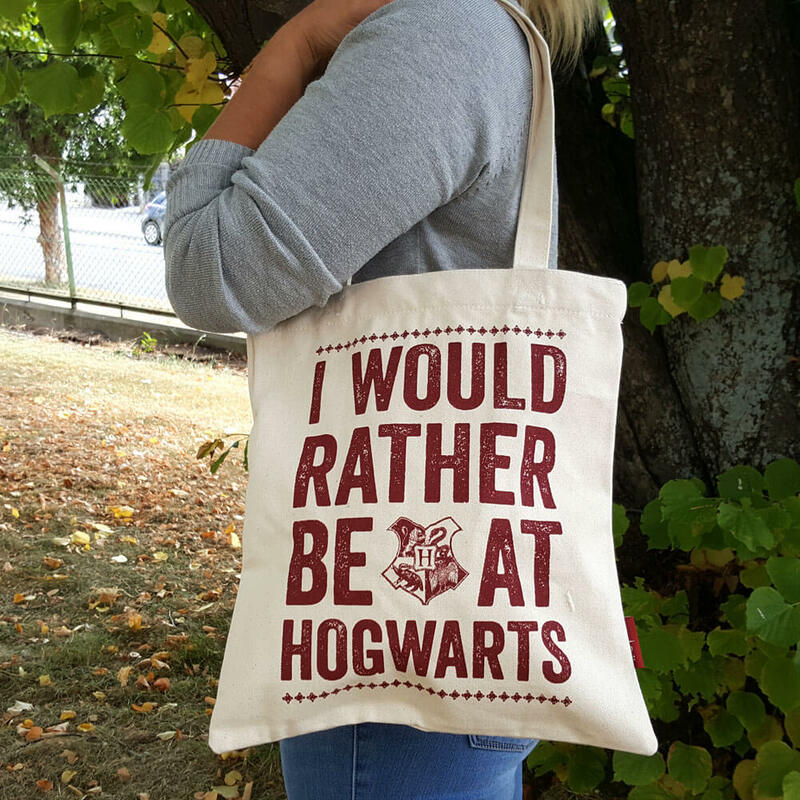 Heading off to school when you'd rather be learning magic? 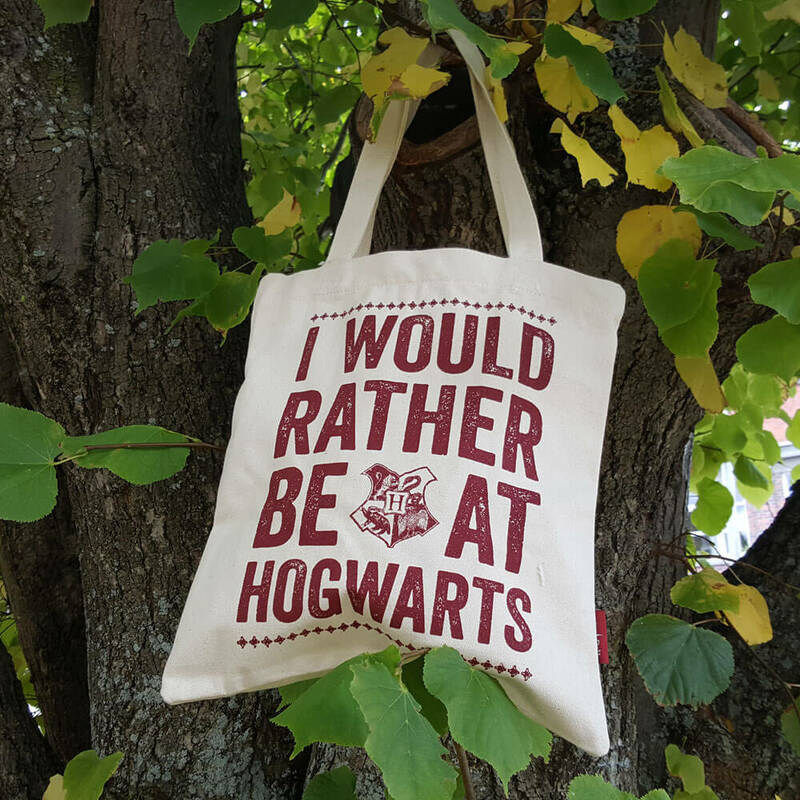 We all know you'd rather be at Hogwarts! So if your acceptance letter got lost in the mail, don't let that bother you. 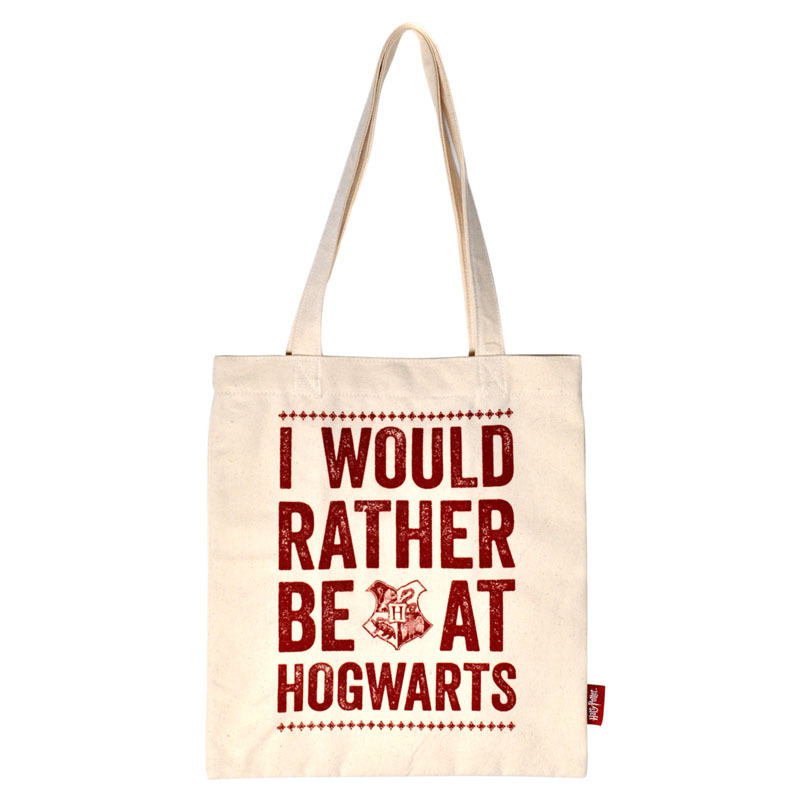 Let everyone know where you'd rather spend your time with this handy tote! Featuring the Hogwarts crest showing all four houses and the words "I would rather be at Hogwarts" on the front, you can carry all your essentials, from spell books to magic wands! Go on, shows us you're heart belongs to Hogwarts. You'll love the wide shoulder straps, magnetic snap closure and small zip pocket on the inside for your valuables. 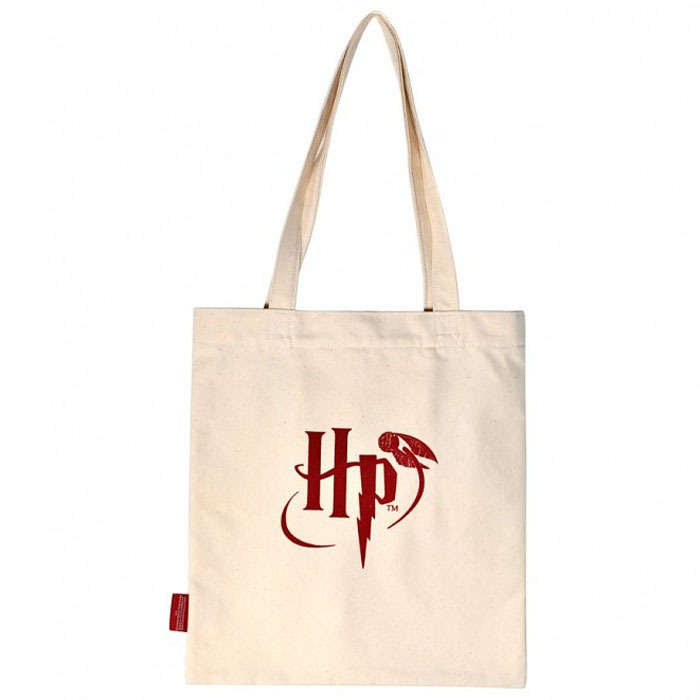 Officially licensed, featuring the Harry Potter logo on the reverse. 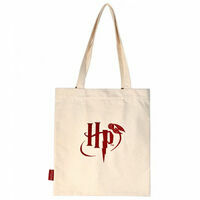 Dimensions of bag: 33cm (w) x 35cm (l) x 1cm (d).